One word comes to mind... Ideal. 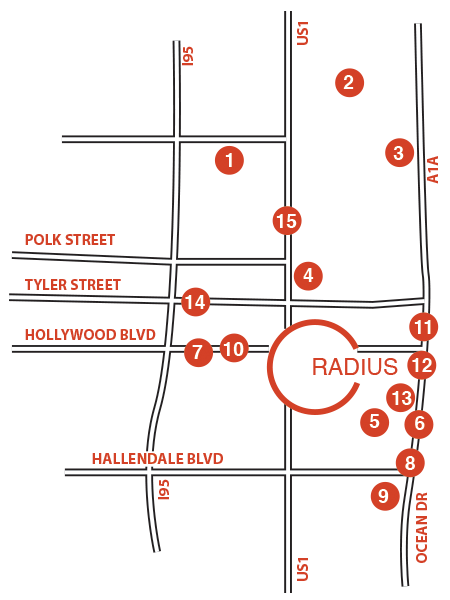 Radius is located in the center of Hollywood on Young Circle – the world’s largest round-about in the US.